Jamie and I met up in Dunedin a few days before departure to look at maps and come up with some kind of plan. “We could start on the Dusky, go down Nine Fathoms passage and access the Heath mountain tops from there?” Jamie suggested. “It’s a long way to Lake Hauroko via the tops, it’s hard to know how long that would even take us. I guess we could just pack around 10 days of food and see what happens,” I replied. 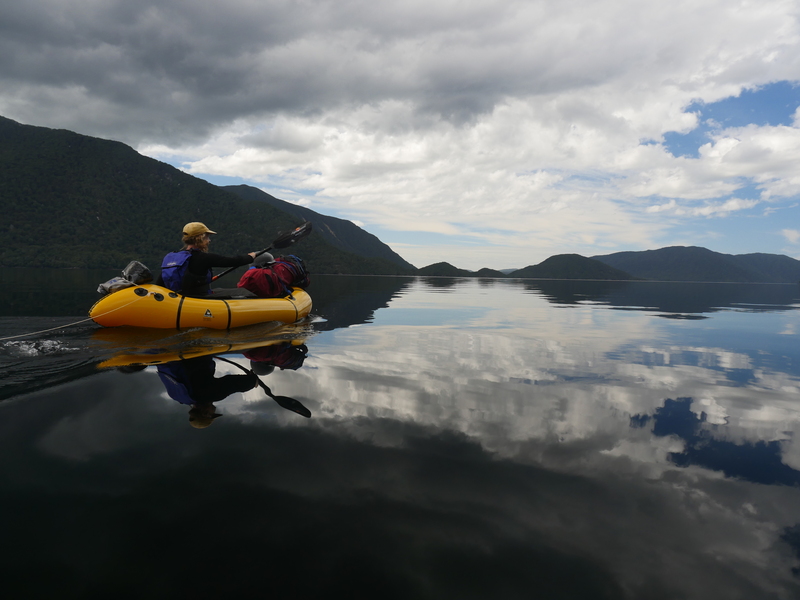 It was after midday on Christmas Eve when we set off from the West Arm of Lake Manapouri. A pack of cherries dangled off the side of my backpack as we started walking up the Borland Road. 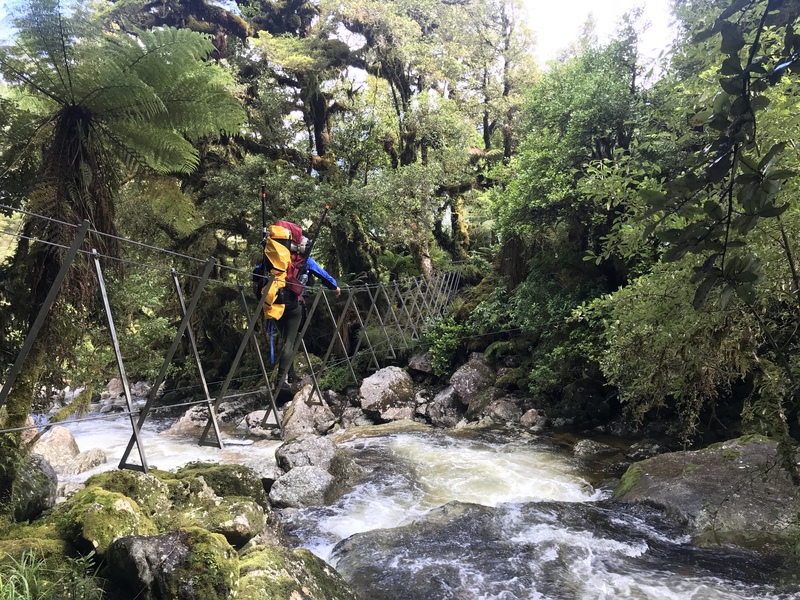 We spent our first two days walking on the Dusky, a notoriously muddy and rugged tramping track, famous for its healthy sandfly population and 21 three-wired bridges. The Dusky Track has 21 three-wired bridges! We spent Christmas camping in a moss clearing that was only just big enough to fit our shelter. We had (Christmas) slop for dinner, followed by a couple of squares of chocolate before going to sleep. 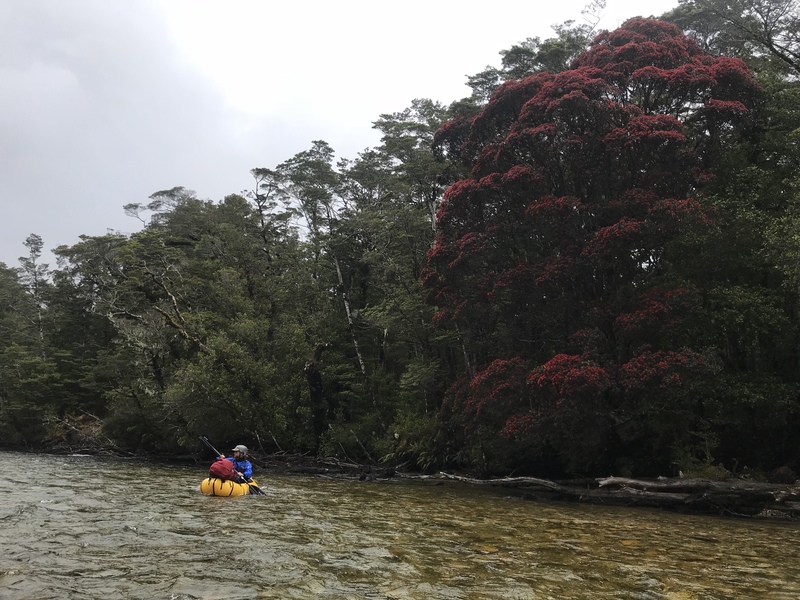 On our third morning, instead of wading through sections of deep bog and negotiating slippery tree roots, we inflated our packrafts and floated downstream on the Seaforth River. It was a cruisy float until we hit a gnarly rapid at the end of Loch Maree. 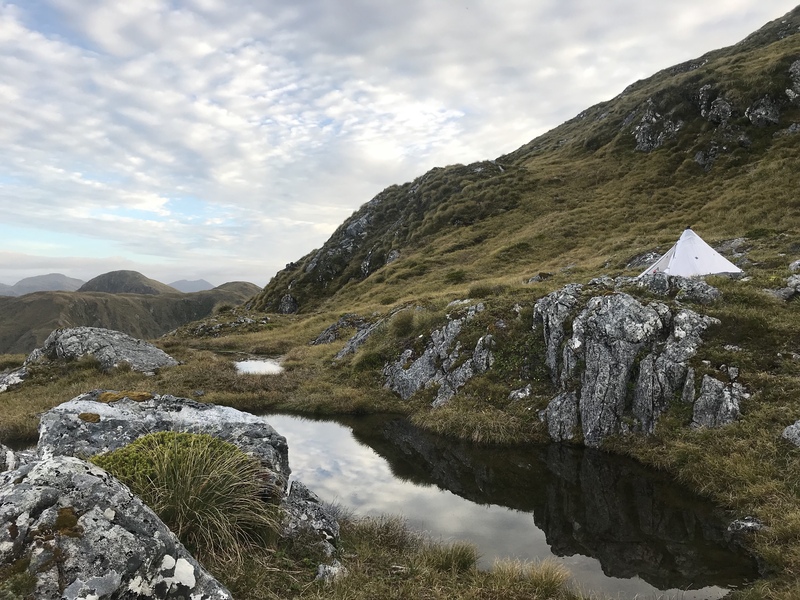 We deflated and walked a short section on the track before continuing down the Seaforth to Supper Cove Hut, at the head of Dusky Sound. From Supper Cove we paddled past Girlies Island and through Nine Fathoms passage before deflating our packrafts and transitioning into walking mode again. We had set our sights on the most mellow-looking ridge but from our camp on the coast, it still looked intimidating. Thick Fiordland bush stretched up as far as we could see, dotted with deep red rata in full bloom. 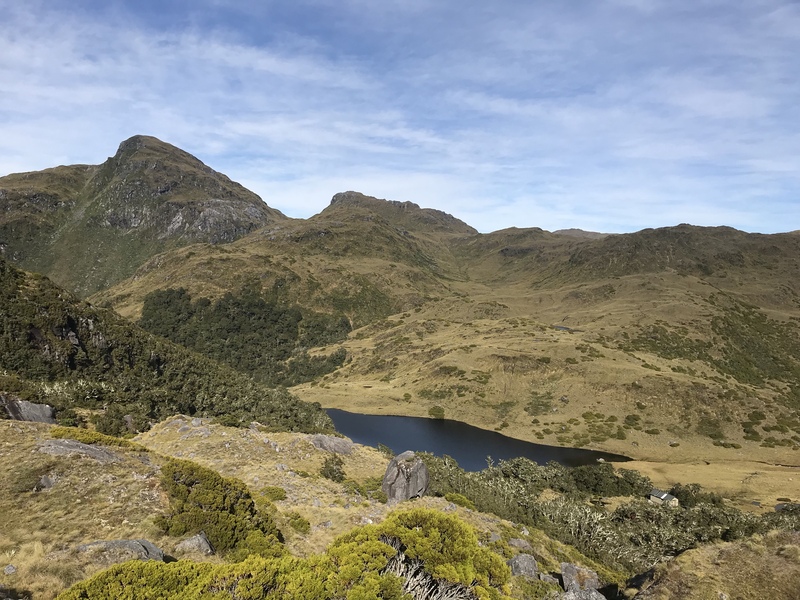 We climbed over, around and under rotten logs and crawled through prickly thick forest, gaining 1000m of elevation before popping out into tussock-land. From there we had two off-trail days before we’d reach Lake Roe Hut. 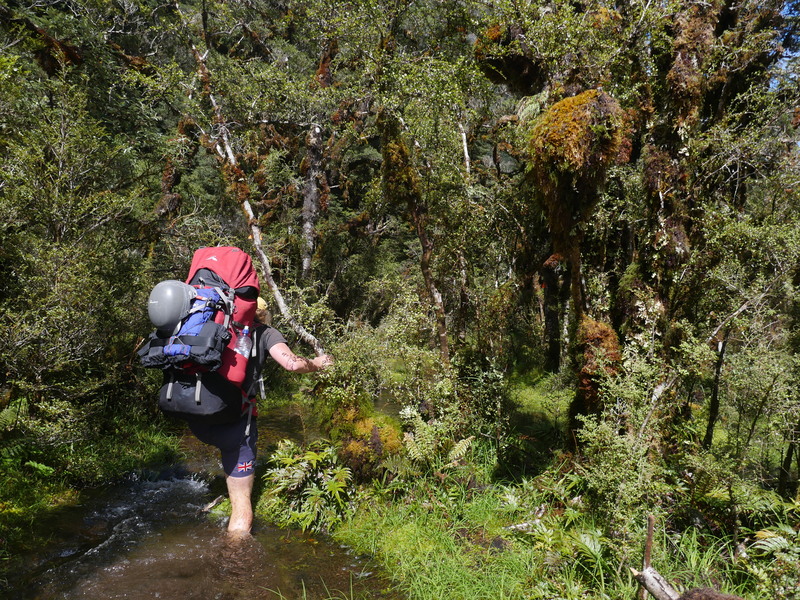 Travel was a mixture of well-formed game trails, thick bush-bashing and tussock-tops. Mountain ranges with mellow ridges stretched out as far as our eyes could see. 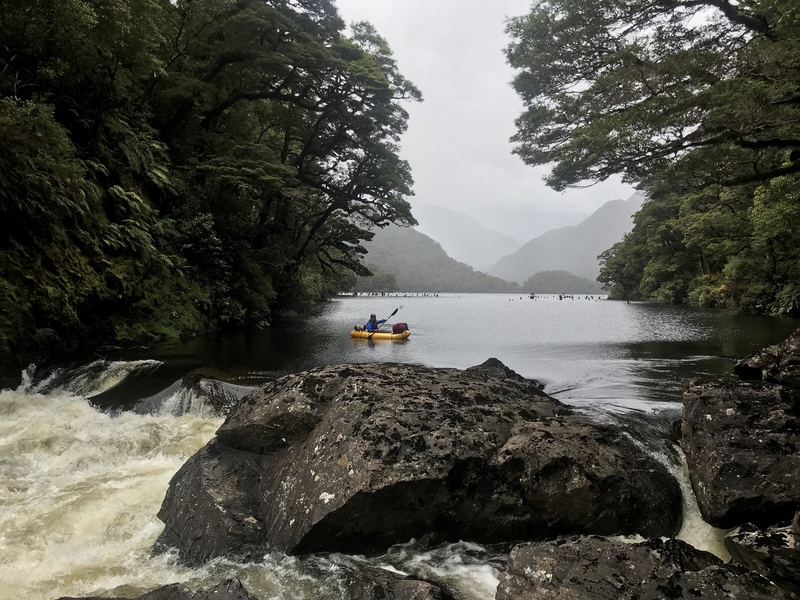 The mountains in this part of Fiordland are not the most formidable but the difficult access and remoteness makes it feel really wild. I found myself with an infection on my foot that was quickly spreading. 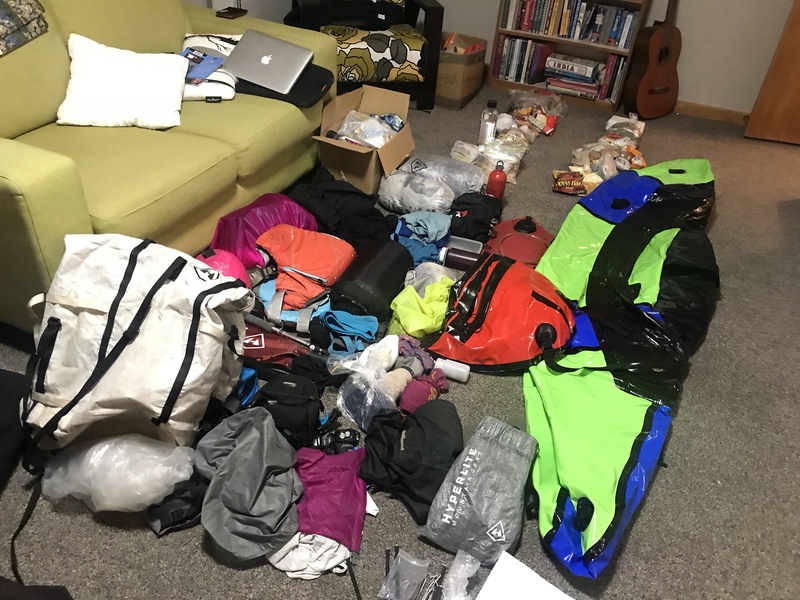 It was the second infection I’d had on a remote wilderness trip within 6 months (read about the first here). The hardest day was reaching Lake Roe. 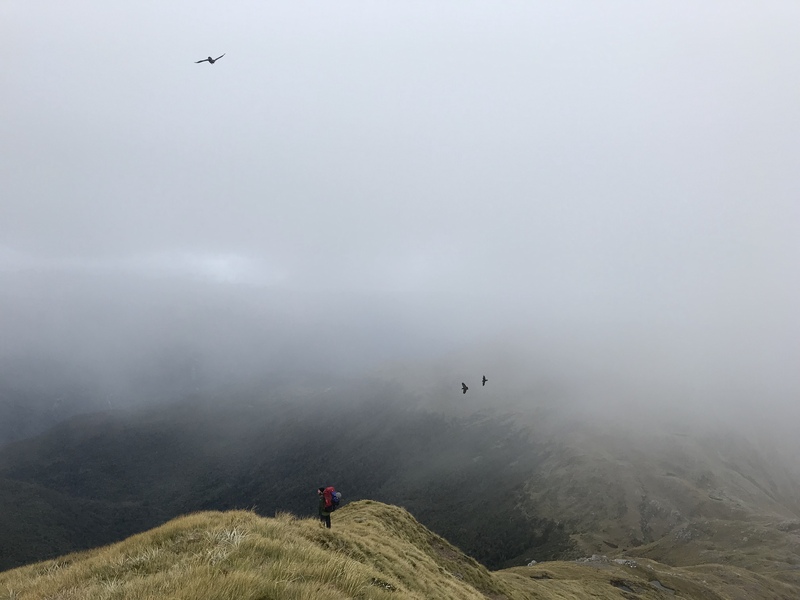 We had around 16 km of rugged off-trail terrain to cover and with a storm looming and gale force winds forecast, we were keen to make it to Lake Roe to pick up our food resupply and have a rest day. We started counting tarns to distract ourselves. By midday we had counted 200 and gave up! We kept focused, aiming for Lake Jane. 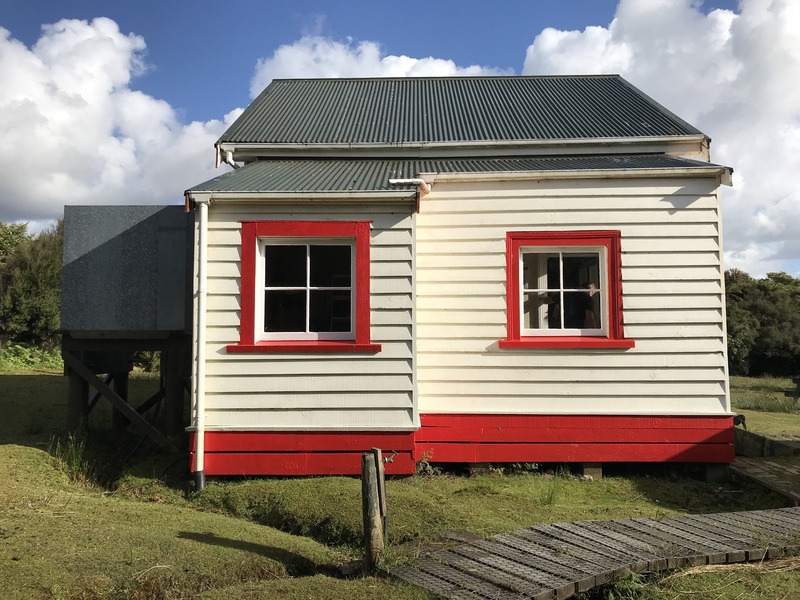 This was our “home safe” destination – from there we knew we’d have Lake Roe Hut in the bag regardless of the weather conditions. By the time we reached the hut my feet were excruciatingly painful to walk on and my toes were swollen. My need for rest coincided with a storm so we spent an extra night at Lake Roe, enjoying the company of the other hut-dwellers. New Years Eve was spent with two DOC workers and Danilo Hegg, the most recent editor of Moir’s Guide. We ate marzipan logs, had a few sips of wine and were all fast asleep before midnight. Lake Laffy and Lake Roe Hut (far right). We came from the tops in the far left. 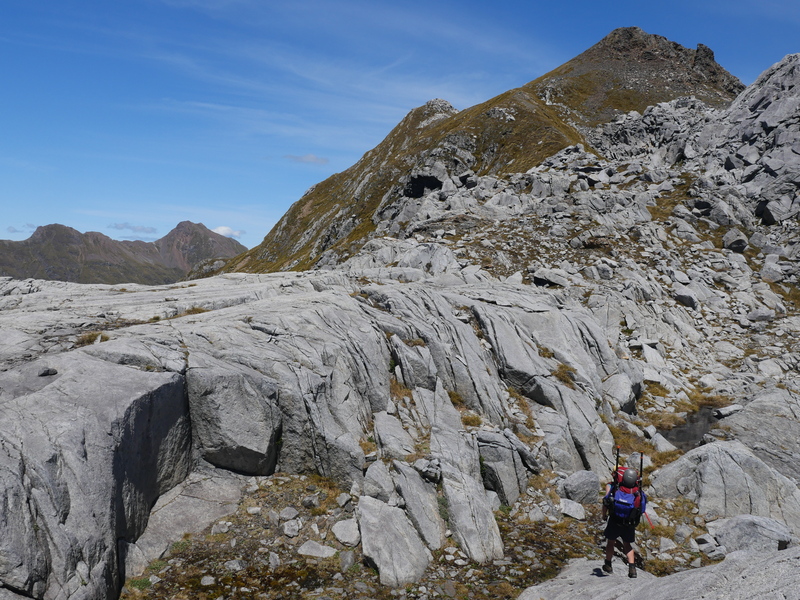 Instead of continuing on the Dusky track we clambered up onto the Merrie range for some more tops travel. We went past Lake Story and dropped down to the Hauroko Burn shortly before the head of Lake Hauroko. I was stoked to have the last of the bush-bashing behind us. Ahead of us we had 33 km of lake packrafting, 25 km of river packrafting (grade2+) and 30 km of flat hiking track. 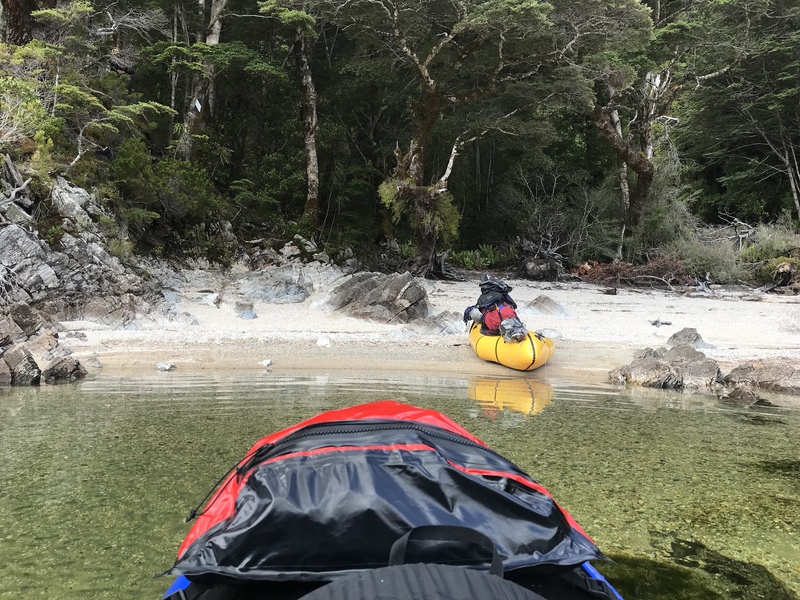 We pulled our sleeping bags over our heads to try to escape the sandflies and set our alarm for 4:30am to make the most of calm paddling conditions. Lake Hauroko (translation: “windy lake”) has been known to flip jet boats and we were planning to packraft the length of it. At a depth of 400m, it’s the deepest lake in New Zealand. 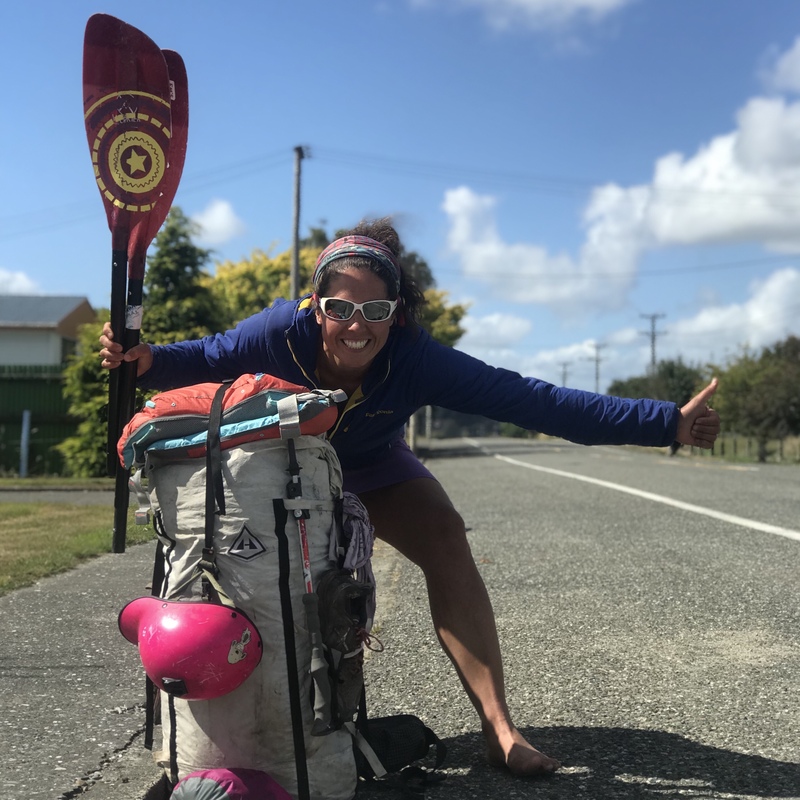 Hauroko was calm and we packrafted the 33 km to Teal Bay Hut. 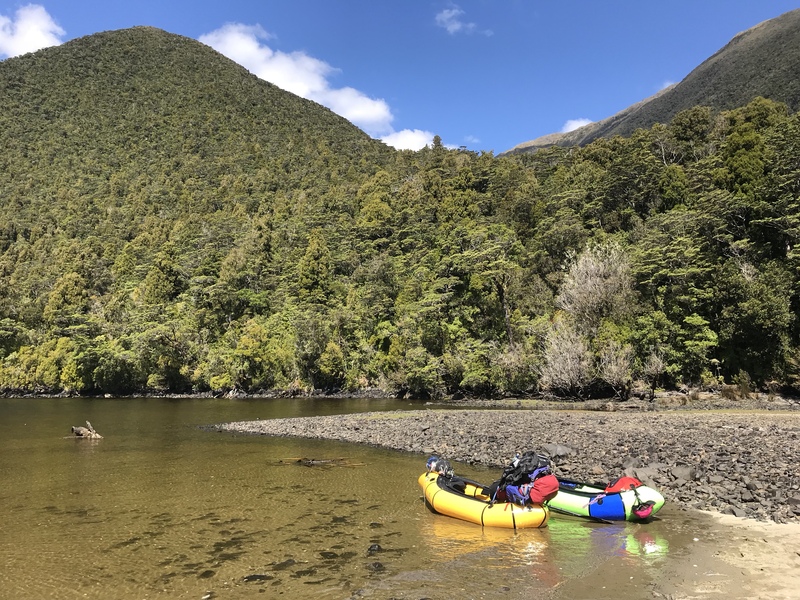 We’d drop around 200m over 25 kilometres packrafting the Wairaurahiri River before hitting the South Coast. 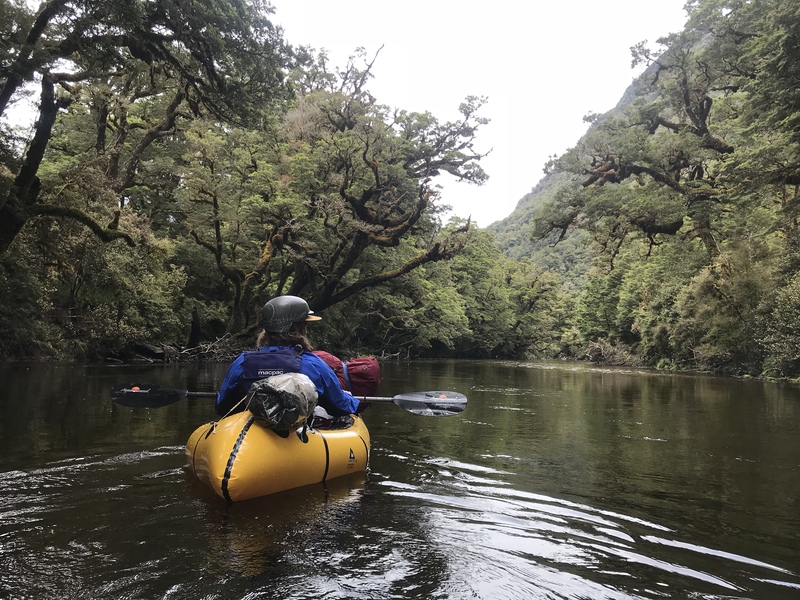 The Wairaurahiri River is one of the best beginner-intermediate level Rivers I’ve packrafted in New Zealand. I suspect it will become a South Island classic. It has everything. The whitewater is almost continuous until it spills out into the Southern Ocean around 25km downstream. 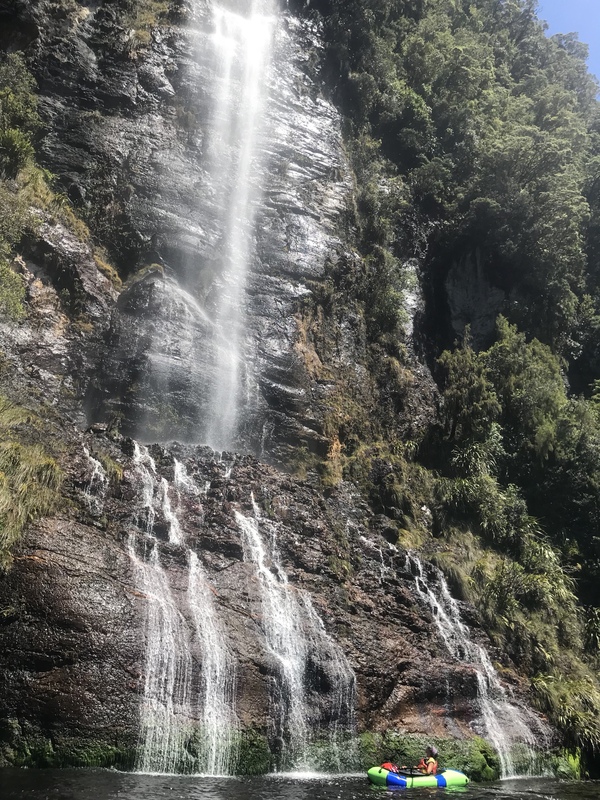 It can be made into a round-trip, combining a lake, an amazing river, the ocean, a historic walking track and even some tops travel on the Humpridge Track. 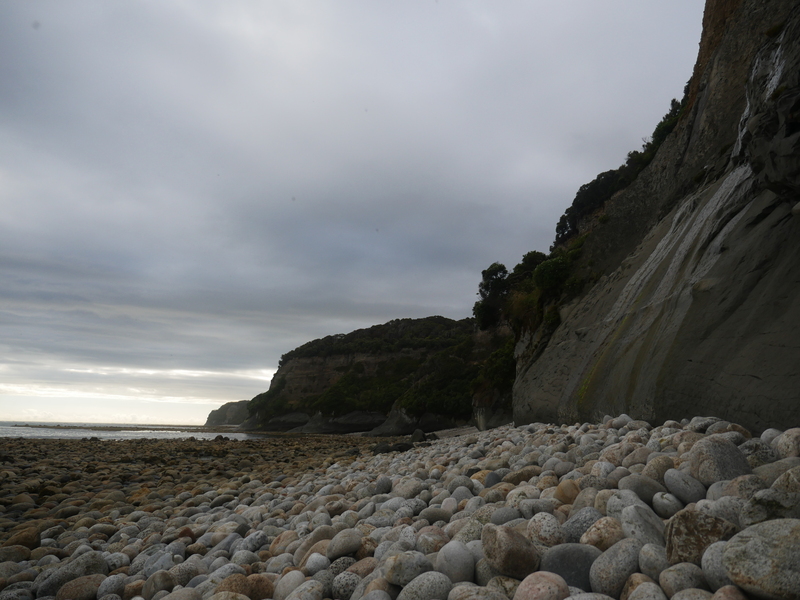 Note: I didn’t take any photos showing rapids on the Wairaurahiri River. You will have to go and check it out for yourself! Or you can watch this You Tube video by Lee Burt Rowley from 3:00 to get a feel for the river. 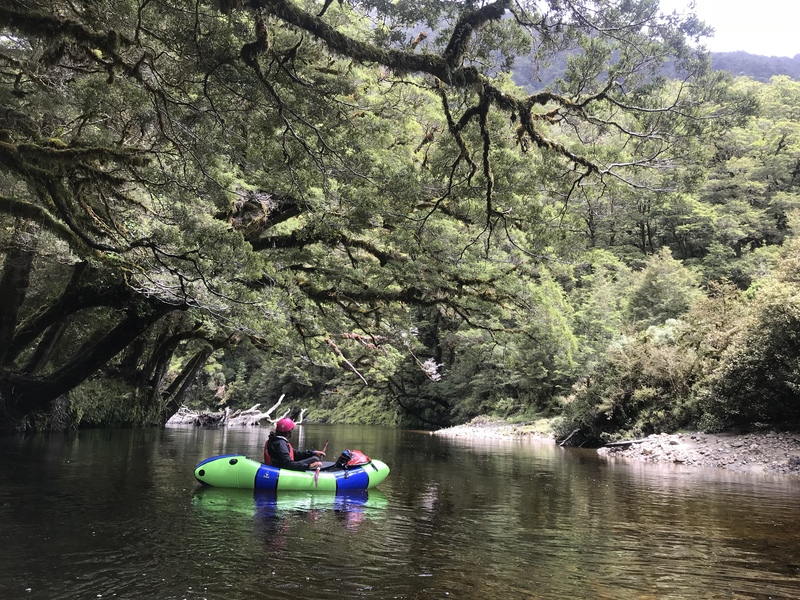 Read the Wairaurahiri River trip page (written by Jamie) if you are interested in packrafting this river. It includes various route options and information on facilities in the area. Typical of many of my packrafting missions, this one ended with a hitch-hiking adventure. 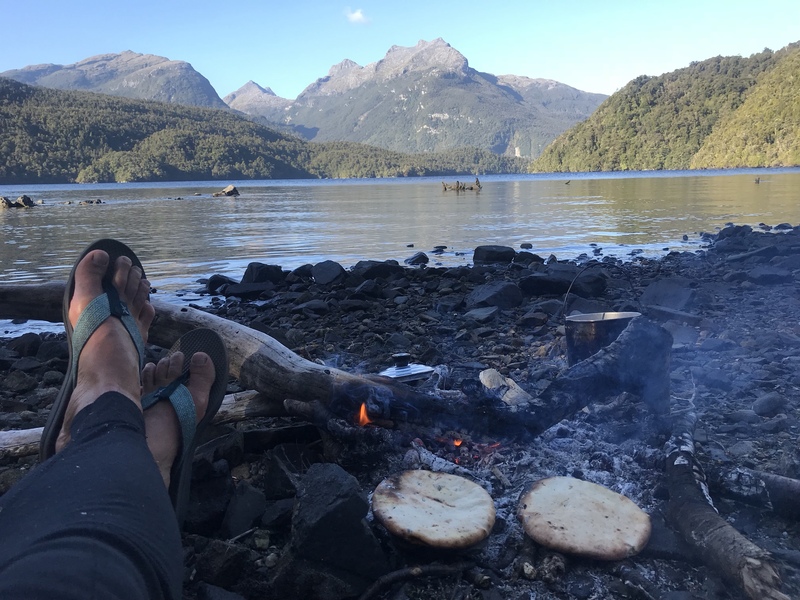 Thanks to Beks for picking us up in Manapouri and whipping up some tasty Mexican for dinner!